On Tuesday, September 18th, Forbes and EvolveHer, a creative workspace for women, hosted Diversity Includes You: a series of panel discussions focused around diversity and inclusion in the workplace. The panel featured five women who ranged from diversity and inclusion leaders to media and marketing professionals. All five women, who are paving the road for change in the workplace, discussed current trends in D&I and how companies are aligning their core values to advance inclusive workplaces for the benefit of all. Christina Vuleta, Vice President of [email protected] and Alicia Driskill, Founder and CEO of EvolveHer moderated the discussions that offered insight, inspiration and paths for positive change. Panelists included: Deidra Jenkins, Chief Diversity & Inclusion Officer-Americas at Northern Trust; Fay Ferguson, Co-CEO of Burrell Communications; Renetta McCann, Chief Inclusion Experience Officer for Publicis Groupe; Sharmila Fowler, Director of Global Diversity, Inclusion & Community Engagement for McDonald’s; and Latha Sundaram, Global Business Director at PHD Chicago. As the lack of D&I in the workplace is receiving major attention, companies are making an effort to implement D&I programs but they aren’t always effective. Diversity Includes You aids in discovering what kind of programs work and what companies should be doing to see results. Research shows that employee diversity is associated with better business results, Gender-diverse companies are 15% more likely to perform better and Ethnically-diverse companies are 1 35% more likely to perform better. It’s evident that D&I programs are beneficial, but it’s also the right thing to do to move forward with equality in the workplace. Forbes and EvolveHer: Diversity Includes You is the first of a series of events that will pan out over the next year and will be hosted at EvolveHer in Chicago’s River North neighborhood. These events are strictly by invitation only, and the audience is made up of advertising and marketing leaders in Chicago. This series was designed to offer insight and inspiration to how companies should have inclusive workplaces to not only benefit themselves but to also benefit their employees. 1 Page, Edward. Inclusion and Employee Diversity: Here are the numbers. Analytics in HR, 2017. EvolveHer is a creative workspace designed for women to connect, collaborate & curate a life they love. 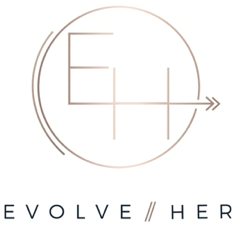 EvolveHer not only provides a beautiful space, but also offers a robust schedule of custom programming to support its community of women in all aspects of life (business development, wellness and connections). The 5,000 square foot River North loft was intentionally designed to inspire creativity and serves as a unique space to host off-sites, private events and trainings. For more information, visit http://www.evolveher.community or follow us at @evolveher.